Focusing on the client’s needs and the children’s well-being. In any divorce, paternity, or custody case, Marsha is steadfast in protecting her client’s interests while still helping put the children and their needs at the forefront. She understands that divorce is often a terribly stressful time for adults and children alike. Throughout the entire legal process, Marsha is tireless and dedicated in both protecting her clients’ interests as well as guiding clients to make the best possible decisions for the family as a whole. Marsha’s professionalism, experience, and compassion are crucial components which make her such an effective and trusted advocate. 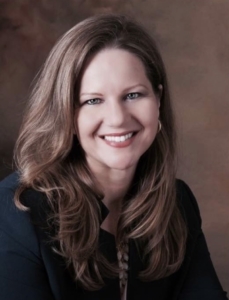 As a divorce lawyer and custody lawyer in Altamonte Springs, Florida, near Orlando, Maitland, and Winter Park, Marsha Summersill has proven experience in the courtroom and at the settlement table. Marsha has been involved with high conflict cases and has been very successful in advocating for her clients. Marsha’s highly specialized and unique background in child protection combined with her litigation experience are powerful tools in effectively advocating for her clients. Received the Outstanding Achievement Award from Child Welfare Legal Services currently referred to as Child Legal Services for well written petitions, judicial status reports and pre-dispositional summaries for dependency cases.